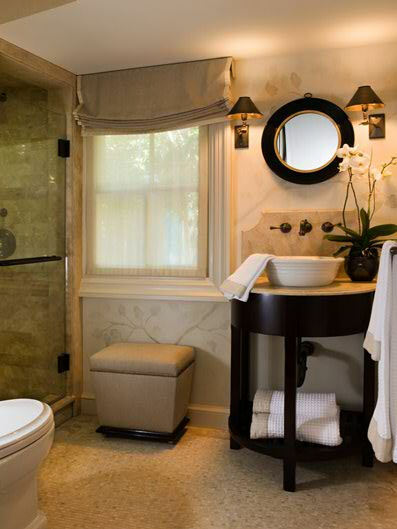 Today’s inspiring designs come from San Francisco interior designer Matthew Leverone. He’s an incredible talent with an eye for timeless design. Take a look at just a sample of his gorgeous work. Ummm…YES, PLEASE!! Just look at that ceiling! Those draperies! The colors! Simply gorgeous. What a beautiful use of bold color! Not too much, not too little. Did you notice the tree mural on the wall? Of course I love that! Now you know I love these colors. They’re very similar to the colors I’m using in my own little condo, although the green is a bit different. This entire room is spectacular, but do you know what I noticed first? The coffee table! Specifically the bottom shelf on the coffee table. Ingenious!! Can you tell what it’s made of?! Bonus points to the first person who recognizes this material. If this were my bedroom, I’m pretty sure I’d never leave. It looks so comfortable and inviting, doesn’t it? 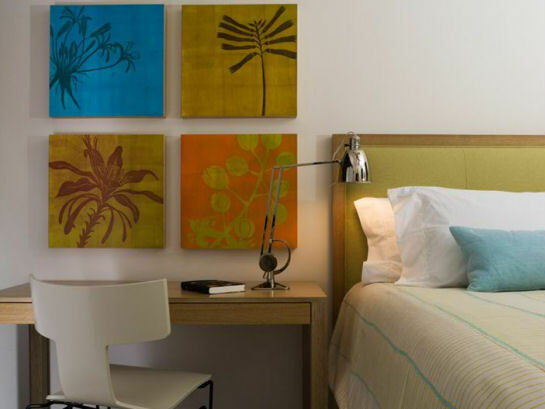 To see more beautifully designed rooms by Matthew Leverone, click here to visit his website. the bottom of the coffee table looks to be outdoor chair webbing material…genius! 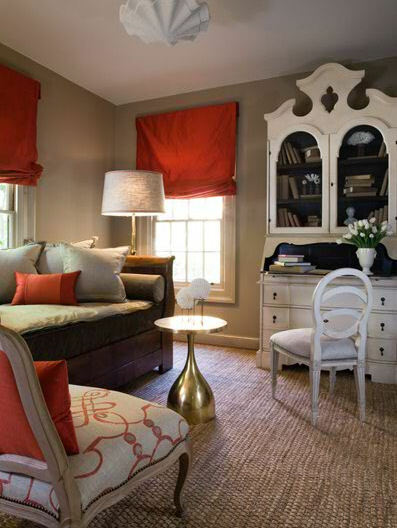 Love his style…you also have an incredible eye for color and balance! You are on the top of my design bloggers list….a wealth of information and such talent! you are quite the inspiration for us less-talented decorators…thank you! I was thinking seat belts too… Are we right? Love that bedroom! The chairs have their backs to the fireplace, which is being ignored. Is the bottom of the coffee table a tobacco basket? It looks like latice work in old time out door folding chairs! Great idea! Love his use of red! Not too much though….just enough to warm things up! upholstery webbing is what it looks like to me! The coffee table picture that you mentioned is my favorite. Love everything in that room. 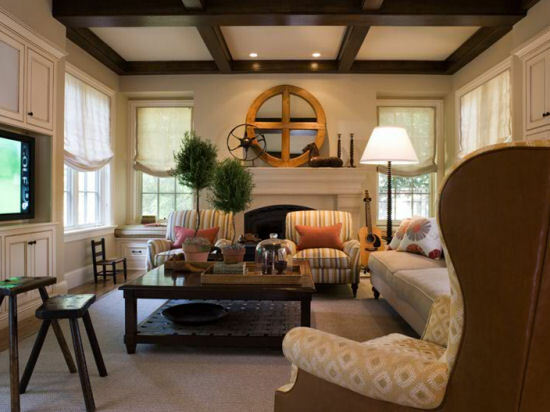 Love the dark wood on the ceiling. Love. And that's webbing material, right? I love the green and white colors in the first and last picture – this color combination is so soothing! I love that last bedroom SO MUCH. I'm with you, I'd never leave it. I would SOOOOO Love a fireplace in my bedroom. This guy is a genius…. Beautiful rooms! I love the living room in the first image.